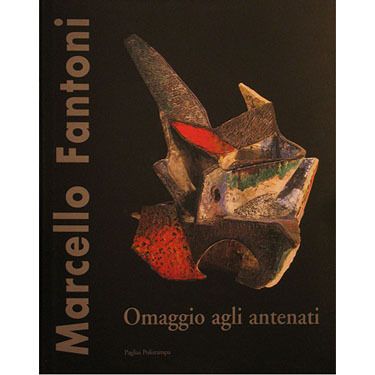 Marcello Fantoni: Omaggio Agli Antenati Opere Inedite (ISBN 10: 8883043677 - ISBN 13: 9788883043673). Front Cover. Bruno Baglivo, Pierpaolo De Paoli. Pagliai Polistampa, 2001 - Art - 127 pages. Rare out-of-print monograph on the Italian mid century modern artist Marcello Fantoni. Marcello Fantoni is considered to be the supreme genius of modern Italian ceramics. Beautifully illustrated book about the ceramics Marcello Fantoni created. Profusely illustrated with full color pictures. A must have for every modern collector with a wealth of information. Lowest Price Guarantee on this product. Free shipping, includes insurance and tracking. Plus: sign up for 'super saver' & get 10% off towards future purchase! In stock, usually ships within 1 business day.